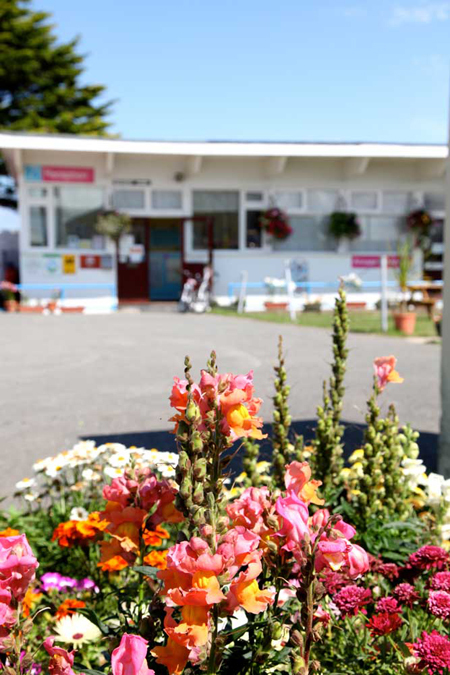 Quarryfield is a family run holiday park situated in Crantock near Newquay, and is the perfect location for your camping or touring holiday in Cornwall. We are a well established holiday park, with 150 pitches, 50 hook up points and 42 static caravans. With all this space and variety we are confident that we have the right type of holiday accommodation to suit you, your family and friends. Our location on the West Pentire Headland is perfect for a family break. Situated overlooking the beautiful Crantock Beach, and next to the estuary of the River Gannel, you have plenty of choices on how to spend your time. You can relax on the beach, swim in the pool, surf or just play with the children, or you can walk up alongside the River Gannel, which is particularly beautiful. Newquay is just on the other side of the estuary and is within walking distance. If the tide is in then just take the rowboat ferry to get across the river. The camp site itself is large enough to enjoy plenty of room for playing and for the family to spread out and enjoy their holiday. There are swings and a play area for the children, amusement arcade with pool table and an outdoor swimming pool for them to let off steam on hot sunny days. An on site Inn allows the family to enjoy some drinks and food as well as the shop which has plenty of supplies to keep you full of energy while you are with us. We believe that a clean site is a happy site, and that is why we have also recently invested in a new toilet/shower block with laundry room, making sure that our guests are comfortable whilst staying with us. Our friendly staff are always on hand to take your enquiries and make your holiday as stress free as possible. Please feel free to explore our site to find out more. Copyright © 2015 Quarryfield Holiday Park, Crantock, Newquay. All Rights Reserved.